In recognition of the 9/11 anniversary of the tragic event in New York City in 2001, Beyond 50 offers annual evidence of false flag terrorism. The facts provided reveal that the destruction of the Twin Towers building was an inside job, orchestrated by U.S. government officials in a multi-national collaboration. 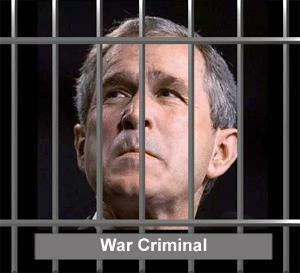 It took President Bush an extraordinary 441 days after 9/11 to establish a commission to investigate the events of September 11, 2001. And it was not just the case that Bush was slow in acting; he actively resisted any investigation for as long as he could. 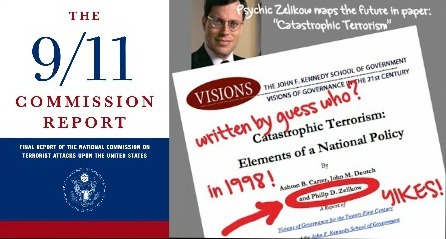 From the initial outline to the final report, 9/11 Commission Executive Director Philip Zelikow carefully guided the process, hiring and firing the staff, directing their research efforts, deciding on witnesses, scrubbing information, and shielding his former colleagues in the White House from criticism. But perhaps more remarkable than the fact that "the fix was in" from the moment he took over the commission and began working on the predictive outline of the final report, is that he had in fact written about 9/11 and its eventual aftermath in 1998, three years before September 11th. Zelikow's amazing prediction becomes somewhat less remarkable when we learn his own self-described expertise in the creation and management of "public myth." In a separate 1998 article on public myths, Zelikow identifies "generational" myths that are "formed by those pivotal events that become etched in the minds of those who have lived through them," before noting that the current set of public myths, formed during the New Deal in 1933, are currently fading. 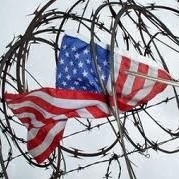 Convenient for Zelikow, then, that the "Pearl Harbor" event that would define the next "generational" myth, known as the "War on Terror," would arrive just three years later, and that he would be in charge of the commission tasked with creating and managing the public perception of that myth. Did you know that a third World Trade Center fell with the other two skyscrapers? Based on the research and scientific information by Architects and Engineers for 9/11 Truth, there were three steel-framed buildings that collapsed on Sept. 11, 2001. 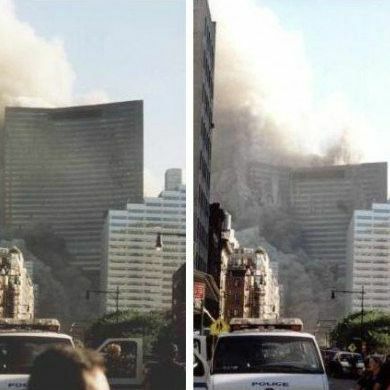 The little known destruction of the third building was WTC 7, across from the famous two skyscrapers that fell that same day. 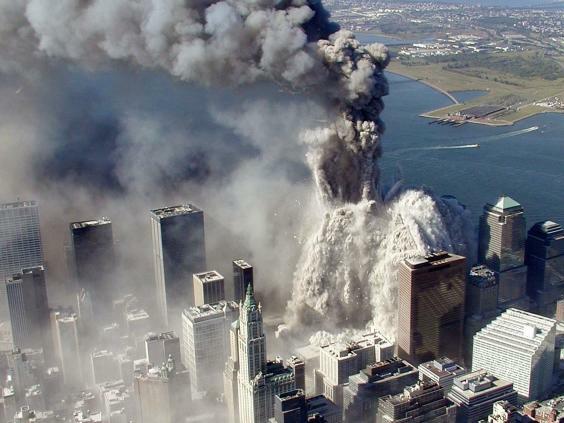 It looked like a controlled demolition job because of the unmistakable smooth, symmetrical downward motion. It only took 6.5 seconds for this 47-story building to collapse to the ground. Why did it go down? It was not hit by a plane and normal office fires could not have brought it down. Over 2,000 architects and engineers call for a new Building 7 investigation. 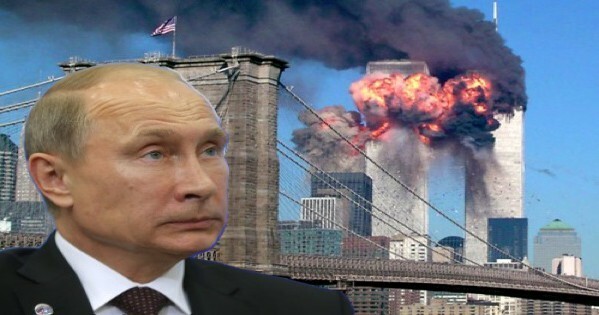 Russian President Vladimir Putin released classified information that were data dumps on 9/11. He did this as retaliation against the U.S. (CIA) and U.K. (M16) for interfering in his takeover of Kiev. It was his way of creating Internet warfare. 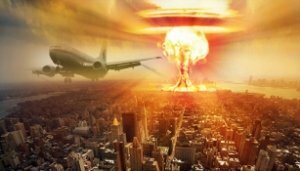 - And, the primary purpose of the nuclear weapon used on 911 was to produce a massive Gamma ray/neutron flux that would vaporize about 150 to 300 feet of 6 inch thick steal I-beams that constituted the central core of the World Trade Center buildings. This created a free fall event as seen on TV that day. The flash would be hidden from sight due to the underground detonation. Most of the light was in the non-visible light spectrum any way. The fallout would be mainly vaporized concrete cement and iron oxide. This is why after 911 they told everyone on TV that the beta radiation burns that people were getting were due to the caustic cement dust and not due to the radiation effects from the radioactive cement fallout.